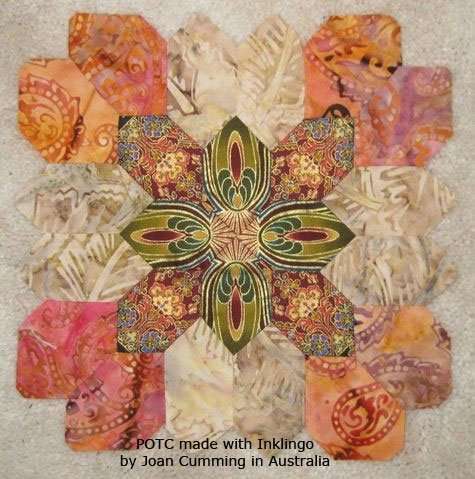 The 3 new shape collections for Judy Martin’s Waltzing Matilda are fantastic for fussy cutting! EIGHT star points. . .
. . . or just ONE octagon. 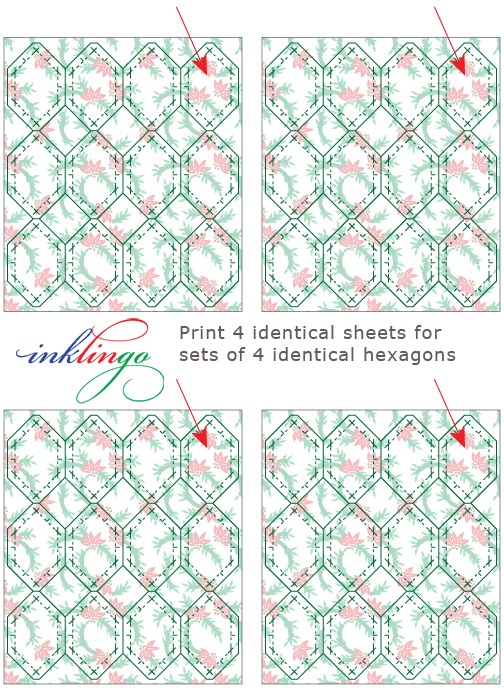 Print freezer paper templates from the Inklingo PDF (shapes without seam allowances). Cut individual designs and make Swiss cheese of the fabric. You only need one shape, like the octagon for Waltzing Matilda or Castle Wall. You want complete control over the motif to be cut. 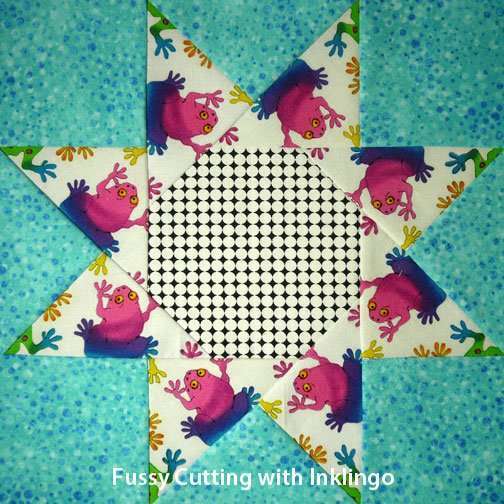 You are working with fat quarters or scraps and do not have enough fabric for No Waste Fussy Cutting (method 2). You don’t need to know exact fabric requirements because you have lots or are only fussy cutting a few shapes. 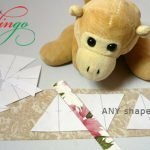 Freezer paper templates have many advantages over acrylic templates. Why I prefer freezer paper instead of acrylic. 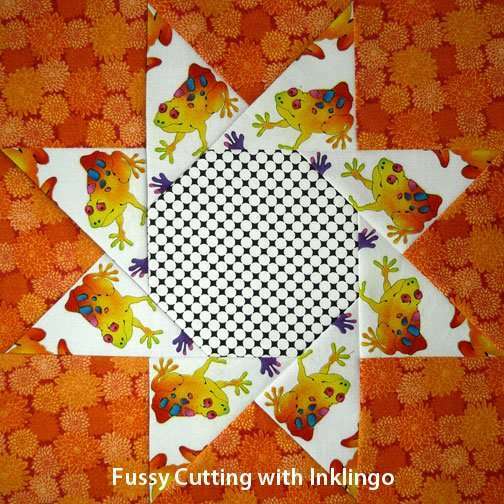 Print identical sheets of fabric with Inklingo. This is similar to Stack n Whack™, but simpler and faster. This is my favorite method. The identical shapes are random and the results are often more artistic, interesting and exciting than with traditional templates. Lucy Boston used designs in fabric that were NOT obvious choices for fussy cutting—but they look as if they were meant to be. Don’t settle for the obvious! 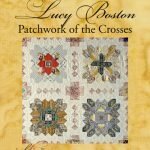 Many fabrics are suitable, as shown in the video on the Main Lucy Boston Page. 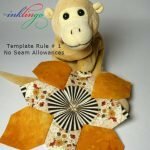 There is a detailed article on QuiltingHub which describes both methods. 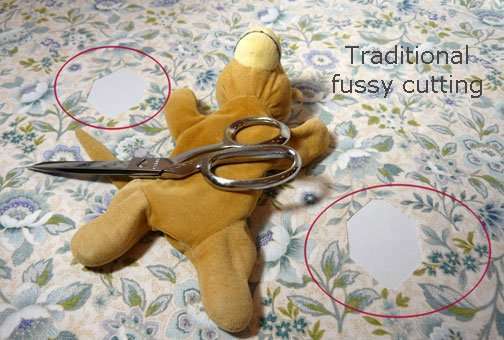 These two methods of fussy cutting work beautifully whether you will be sewing by machine or by hand, including EPP. 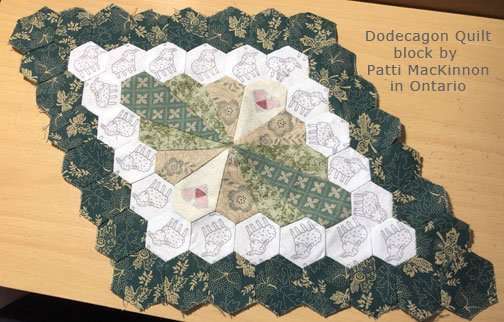 I do NOT recommend English Paper Piecing for POTC or any other shapes. 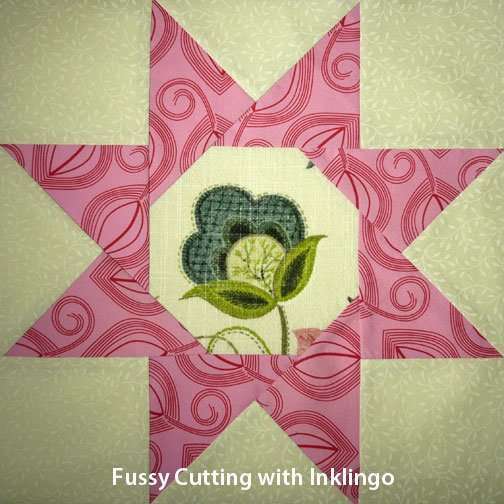 However, there are 8 good ways to use Inklingo for English Paper Piecing if that is the method you love. 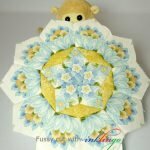 There are videos on the Main Hexagon Page on the website showing how to sew by hand and by machine. There has never been a better selection of cotton fabric than there is today. Lucy Boston was not as lucky as we are! I have been posting photos like this on the Inklingo Facebook page every day, so please have a look. Monkey wants to remind you that the intro sale price of $15 ends on the 16th, okay? Main Waltzing Matilda Page. Please subscribe (top of right sidebar), so you don’t miss anything. 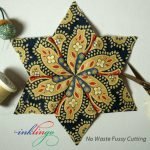 Whether you fussy cut or not, I think you will love sewing the new stars! Join me? 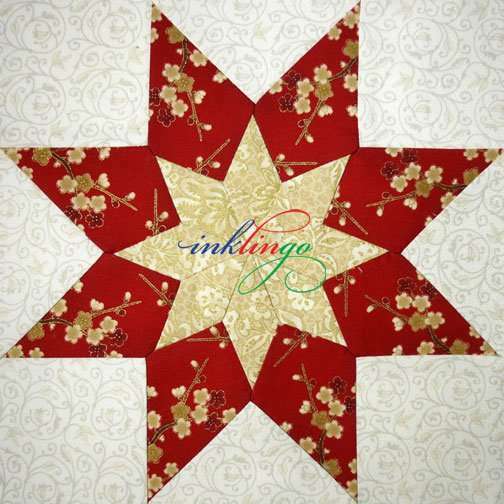 Judy Martin’s Waltzing Matilda with Inklingo!